In the first month after the Republican tax reform law went into effect, U.S. workers saw the largest increase in real disposable income since 2015, according to a Commerce Department report Thursday. 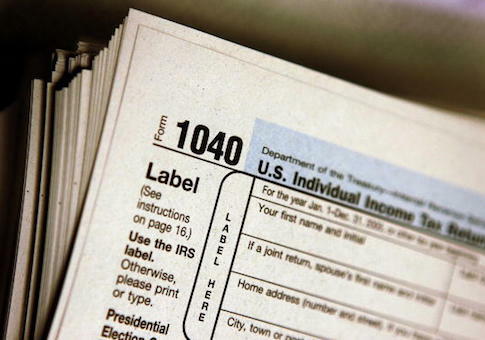 The increase in real disposable income, or earnings adjusted for taxes and inflation, reflects $30 billion rise in one-time bonuses and a $115.5 billion annualized drop in personal taxes, Bloomberg reports. The report comes on the heels of a number of companies announcing they would be provide employees with benefits like wage hikes and bonuses after the tax bill's passage. Americans for Tax Reform previously reported that numerous employers where increasing employee wages and three million Americans were receiving bonuses because of the tax bill, contradicting reports from many media outlets. The new data indicates Rep. Nancy Pelosi's (D., Calif.) "crumbs"–a term the House minority leader has repeatedly used to negatively describe benefits realized as a result of the tax law–are, in reality, real money in Americans' pockets. The Commerce Department report indicates real disposable income grew by 0.6 percent in January, the biggest increase since December 2012. During that month, wages and salaries increased 0.5 percent compared to a 0.4 percent increase the prior month. The savings rate also increased 0.7 percent, rising from 2.5 percent in December to 3.2 percent in January. A Labor Department report released this week also indicated positive news for the U.S. economy: weekly claims for unemployment benefits dropped to their lowest levels since 1969. This entry was posted in Politics and tagged Economy, Tax Reform. Bookmark the permalink.